Excellent conversation covering math, economics, kids, and overcoming personal fear with Patrick Donohoe of CEO Paradigm Life. 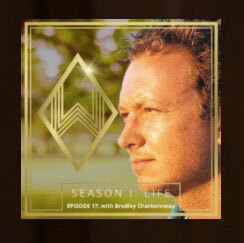 The Wealth Standard is proud to welcome Bradley Charbonneau as our final guest of “Life”, Season – 1! It’s not just a linear path forward. There is greatness ahead. There are possibilities ahead, but you have to start. You’re bad if you don’t get accepted to this college or that college. It’s very destructive.